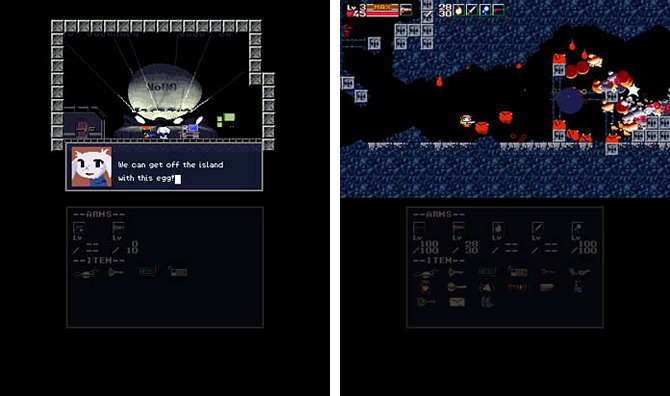 Cave Story (eShop) – A Critical Hit! Not to be confused with last year’s retail release Cave Story 3D, the new eShop release of Cave Story for the Nintendo 3DS might be the definitive way to play the original version of the critically acclaimed cult classic game. There are more than a few editions of Cave Story out there now, which can lead to a little confusion. Basically, there are three core versions of the game. The original Cave Story had a very NES look to it, and was fairly bare-bones. 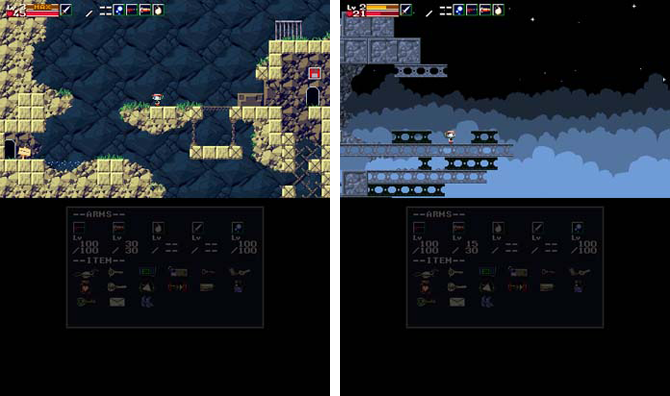 The WiiWare version – also available on PC as Cave Story+ – redrew the sprites at a higher resolution for more detail and included new modes and features, such as multiple save files. The retail release Cave Story 3D was basically the same game, but rebuilt using 3D models. Although Cave Story 3D included the addition of glasses-free 3D, I felt it lost some of its charm in the conversion from sprites to models. The new eShop release for the Nintendo 3DS basically uses the simplified sprites from the original – due to the smaller screen size – while including the extra features of Cave Story+, as well as glasses-free 3D. It also happens to be the only sprite-based version of the game that can be played widescreen, which looks absolutely fantastic (and can be turned off for purists). For those who have yet to play any version of Cave Story, it’s essentially a love letter to classic 8-bit games, borrowing the best elements from the best games and combining them into a near masterpiece. The game’s most obvious influence is Metroid, forgoing standard numbered levels in favor of an explorable open world, with areas that are only accessible after discovering the right item. But unlike Metroid, there are actually other characters to talk to, with conversations initiated in the style of RPGs. Meanwhile, the weapons feature a mechanic from Master Blaster, becoming more powerful as you level them up, but will level down slightly if you get hit. There are also minor nods to Super Mario Bros., Kid Icarus, and probably others I haven’t noticed. The result is a game that, if it didn’t launch the modern indie game revival, certainly inspired everyone involved in it. You play as an amnesiac silent protagonist who only knows about as much as you do about this mysterious place. The story that follows is better experienced than summarized, so I’d rather not say more. For further replay value, there are also a few alternate endings based on a couple choices you make, but I would highly recommend waiting until your second playthrough to attempt for the best ending. The game is best experienced without a guide the first time around, and even the worst ending is still beautiful and moving. 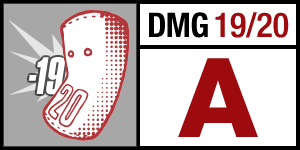 However, the game isn’t without its flaws. The game’s map is strangely blurry, and frustratingly gives no indication of where you have or haven’t been. A fetch quest in the Sand Zone involves so much backtracking that it comes across as filler, an attempt to pad out the game’s overall playtime with an otherwise very small level. And the Nintendo Hard-ness of the end of the game might be too exhausting for many players, who will give up rather than retrying until they’ve mastered it. But it’s a game that really should be experienced at least once, and the best handheld experience is easily the new eShop version. Cave Story is a must-have for anyone who owns a 3DS and has any appreciation for classic games. YES! Thank you for stating almost exactly how I feel about this release. In my book, this Cave Story is the very best version of the game. I have absolutely nothing bad to say about it as I am playing through AGAIN, and loving it all over again! Great review Kate!